PanARMENIAN.Net - ServiceTitan, the world's leading all-in-one, cloud-based software for residential home service businesses, has opened an office in Armenia. The tech company was founded by Armenians who emigrated to the United States with their families as children. 2018 was a notable year for ServiceTitan. In March, the company announced it had secured $62 million in Series C funding, and in November ServiceTitan secured $165 million in Series D funding. It also has been named one of the best places to work by Inc. and the Los Angeles Business Journal and placed on Deloitte's Technology Fast 500, the Forbes Cloud 100 list of the world's best private cloud computing companies and the Inc. 5000 list of the fastest-growing companies in the U.S. In 2017, Forbes recognized ServiceTitan as one of the Next Billion-Dollar Startups. "Our roots are in Armenia and it's really important for us to not only have a presence here, but to invest in the community," said Vahe Kuzoyan, president and co-founder of ServiceTitan. "Our intention is to contribute to the education of the labor force and provide opportunities so the best talent doesn't have to leave the country." ServiceTitan was founded by Kuzoyan and Ara Mahdessian in 2012 when they discovered there were few software options to recommend to their fathers—both of whom were tradesmen. ServiceTitan now has more than 600 employees in two of the largest American metropolitan areas, Los Angeles and Atlanta, and more than 2,500 client businesses throughout the USA and Canada. Kuzoyan hopes to create an environment and culture that is an extension of ServiceTitan's U.S. operation, which provides competitive compensation and several benefits and perks to employees, with a dedication to helping people find long-lasting careers. One goal is to help develop the Armenian tech workforce so the country doesn't suffer from a shortage of talent. "Initially it's going to be an engineering office with a handful of senior employees, primarily for extending our team, which is working on product development," Kuzoyan said. "If that's successful, I can see our employee numbers growing exponentially. It depends on how effectively and fast we can scale." ServiceTitan is a mobile, cloud-based software platform that helps home services companies streamline operations, improve customer service, and increase sales. ServiceTitan's end-to-end solution for the multi-billion dollar residential home services industry includes CRM, intelligent dispatch, custom reporting, marketing automation, a mobile solution for field techs, and accounting integrations with Sage Intacct and QuickBooks. ServiceTitan brings a fully operational modern SaaS infrastructure to an industry traditionally underserved by software. 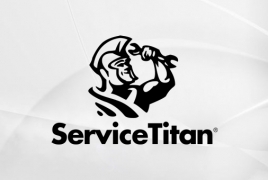 ServiceTitan is the preferred software for the world's most successful plumbing, HVAC, and electrical companies.